Your children’s sports season is over. No more daily practices and workouts. They’ve earned a right to rest their bodies – but proper recovery includes preparation for next season. Young athletes may benefit from off-season conditioning, said Dr. Zaid Khatib, a pediatric hospitalist and sports medicine physician at Akron Children’s Hospital. Off-season strength and flexibility training may help prevent injuries during the sports season, enhance long-term health and even boost academic performance. Dr. Khatib said conditioning might include weight training, flexibility, aerobic workouts and plyometrics. Children are too young to work out. Not at all. By age 7 or 8, kids are ready for strength training under supervision. 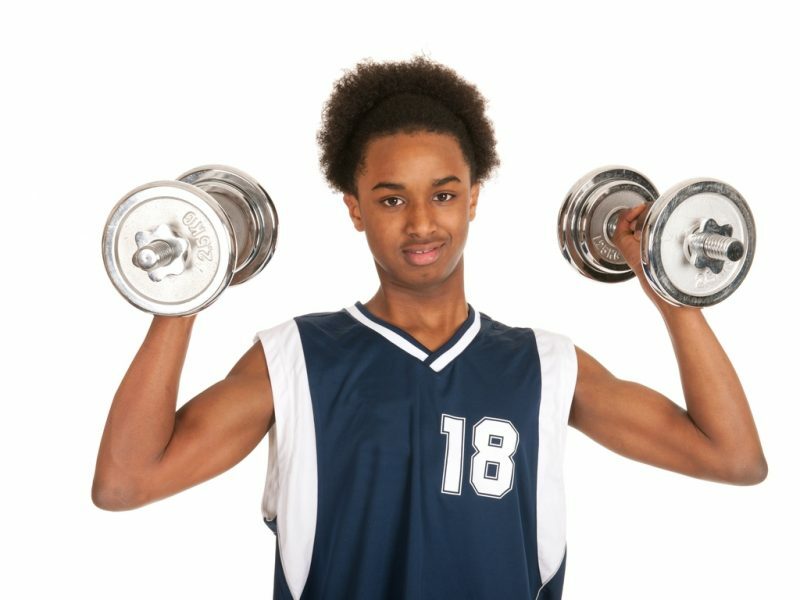 Dr. Khatib suggests younger athletes start out with body weights or bands. When they show good balance, body control and smooth movements, weights can be introduced. “Most weightlifting injuries occur from loading and unloading weights, or people weightlifting on home equipment,” Dr. Khatib said. Injuries can be avoided with proper supervision and proper techniques. Weightlifting will stunt their growth. There’s no evidence that weight training in children will impede growth. But there is evidence that weight training may improve long-term bone health, Dr. Khatib said. Weightlifting should be tailored to meet specific goals, such as improving strength, power, flexibility, cardio fitness and explosiveness. The programs differ, depending on your child’s sport. Dr. Khatib recommends a knowledgeable strength and conditioning coach guide student-athletes. “The kind of lifting for a football player would be different than lifting for a cross-country runner. You have to do the right lifting for the right sport. “The main thing is that it’s supervised and structured. The program should have goals,” Dr. Khatib said. Children and adolescents avoid bodybuilding, power lifting and maximum-weight lifts. Athletes should not take performance-enhancing substances or anabolic steroids. Strength training should include a 10- to 15-minute warm-up and cool-down. A general strengthening program address all major muscle groups, before sport-specific areas are addressed. Instructors or personal trainers have certification reflecting specific qualifications in pediatric strength training.